Anyone standing outside on the second day of the 2014 ALA Midwinter Meeting here in Philadelphia was dusted with snow, but the scene inside the Pennsylvania Convention Center was sizzling. Many of us began gathering right at 9 a.m. Saturday morning for a chance to begin trying demonstration models of Google Glass with a tap of the finger and the spoken command “OK, Glass,” and it was obvious that it wasn’t just the tech crowd that was strongly interested in seeing firsthand, how this wearable technology might be helpful to library staff and library users in everything from reference interactions to training/teaching/learning endeavors. “I can see where it might be useful in live training sessions,” American Psychological Association Training Specialist Alison Cody observed after trying a Google Glass for a couple of minutes. “When someone asks a question I don’t have an answer for, I could check a website [with the voice-controlled device]. I can see them popping up in learning in two or three years in an unofficial way,” she said, when students and instructors with their own personal devices incorporate them into the learning process. 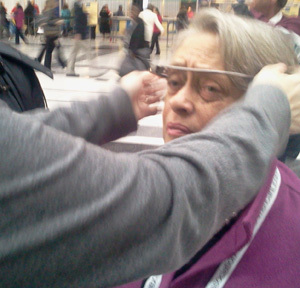 “They have potential (http://www.google.com/glass/start/how-it-feels/),” Barbara Ford, a professor at the University of Illinois at Urbana-Champaign Library and former 1997–1998 ALA president, agreed, noting that adoption within libraries will depend upon what sort of apps are developed by Google Glass users. Watching attendees try Google Glass offered intriguing hints of how quickly the project is evolving. Various Google staff members, for example, were actually using different versions (ranging from Version 9 to Version 14), according to one who was helping conference attendees try everything from viewing CNN news clips to viewing New York Times headlines with the device. 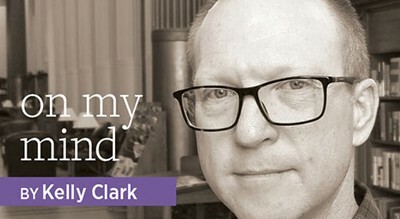 They were quick to set a context for Google Glass, suggesting that it isn’t designed to replace laptops, tablets, or smartphones, but, rather, to be used in conjunction with them; connecting it to a smartphone, they showed, provides the possibility of projecting an image on the mobile screen of what the Google Glass user is actually seeing. It’s also clear that the device could easily be another way for instructors to reach remote learners by broadcasting training-teaching-learning sessions to them. Google reps also said Google Glass was designed not to interfere with eye-to-eye contact in its day-to-day use—a goal that a few users confirmed has already been met, and something that has been apparent since the earliest moments that Google Glass prototypes began appearing in public. More information about the device is available on the Google Glass site. PAUL SIGNORELLI of Paul Signorelli & Associates is a writer, trainer, social media strategist, and consultant. Email him at paul[at]paulsignorelli.com. See, hear, and read more about what’s going on at Midwinter—in real time and after. Patricia Helm Smith, retired executive director of the Texas Library Association, has won the 2019 Ken Haycock Award for Promoting Librarianship. The award, which acknowledges exceptional contributions for promoting the field of library science, reflects her accomplishments and service to the profession. 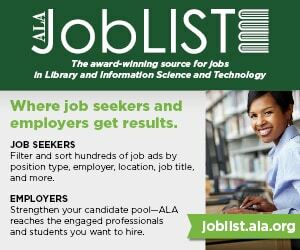 During her 30-year tenure, TLA launched a series of leadership programs, including the Executive Leadership Institute and the TALL Texans leadership programs, focusing on leadership development for librarians across Texas to assume critical roles in the management of their libraries. Bringing together expert international practitioners and researchers, Systematic Searching: Practical Ideas for Improving Results, published by Facet Publishing and available through the ALA Store, highlights the latest thinking on systematic searching. Beginning by looking at the role of the information specialist as an expert searcher, the book then examines the current challenges and the potential solutions to more effective searching in detail. Editors Paul Levay and Jenny Craven, alongside their contributors, blend theory and practice to take into account several different approaches. 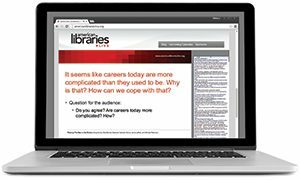 The US Department of Education has issued a request for comments on planned changes to the Integrated Postsecondary Education Data System (IPEDS) surveys, which include the Academic Libraries component. The 60-day Federal Register notice (docket ED–2019–ICCD–0028) was published on March 20, and the public comment period ends May 20. A summary of all planned changes is available via the “Open Docket Folder” link at the top of the IPEDS docket page. Submit comments via the docket page by May 20. 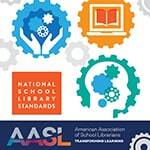 AASL has launched two online surveys to gather insight from a variety of school library professionals and stakeholders regarding its 2018 National School Library Standards for Learners, School Librarians, and School Libraries. Using these surveys, AASL seeks to evaluate the impact and effectiveness of the standards and related implementation tools. Survey links and more information can be found at standards.aasl.org/research.